Last summer I decided to travel solo to Iran. I took the flight from Istanbul to Shiraz, a city located in the South. As soon as I got in the plane I was very scared. I didn’t know what to do or how to react. As we were landing every woman in the plane started covering their head so I just copied every single move a woman did. I used a scarf to cover my hair and that was enough. Later I discovered a lot of beautiful and colorful hiyabs and bought several of them to cover my hair. 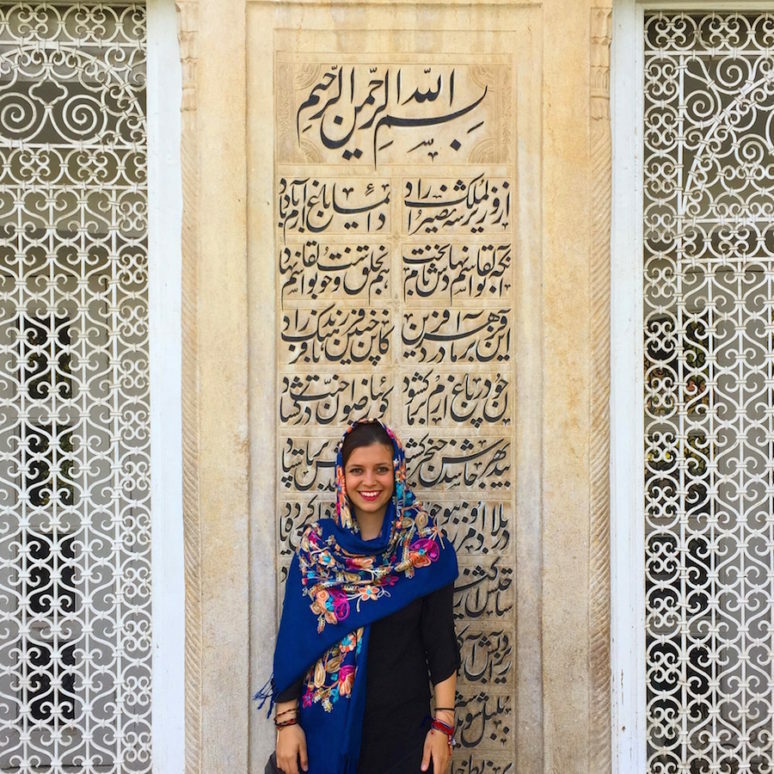 In this post I share my experiences traveling solo in Iran and also a guide to all the places you should add to your Iran itinerary. When I was planning my trip my family and friends thought I was crazy. It was my first time in such an exotic country and it was the first time I had to cover my whole body. I didn’t know how to prepare and there was not a lot of travel information available about travelling alone as a girl in Iran. 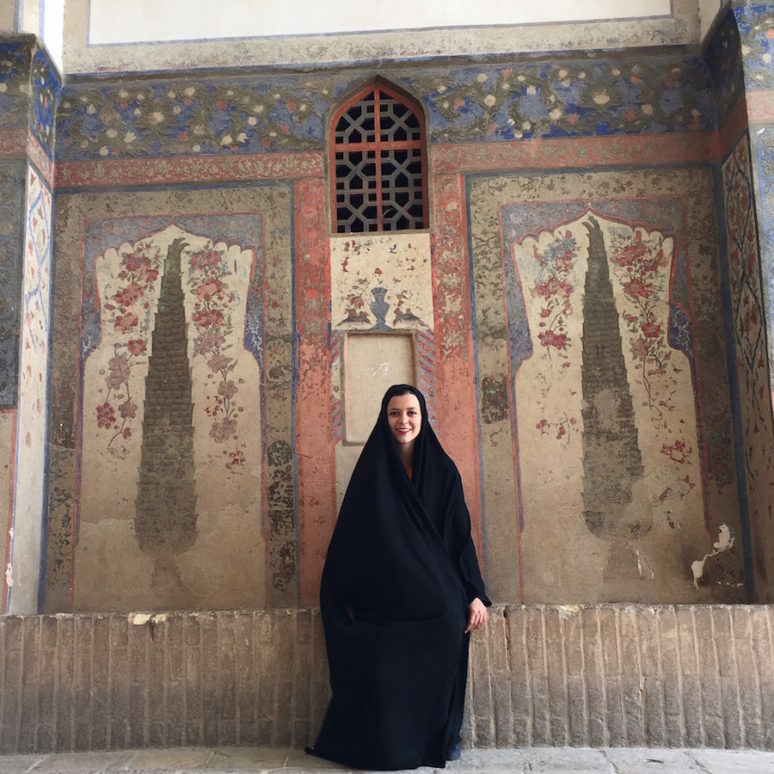 But during my 13 days spent in Iran I did meet other women traveling alone. Most of the people think Iran is not a safe place to travel and even confuse Iran with Iraq. From my point of view, having spent time in the country, Iran is the best option in the Middle East for a woman to travel alone. People will stare at you because they are curious and for them it is not common to see a girl from any other country travelling alone. But people are very kind and hospitable and don’t have bad intentions. Iran is a Muslim country. 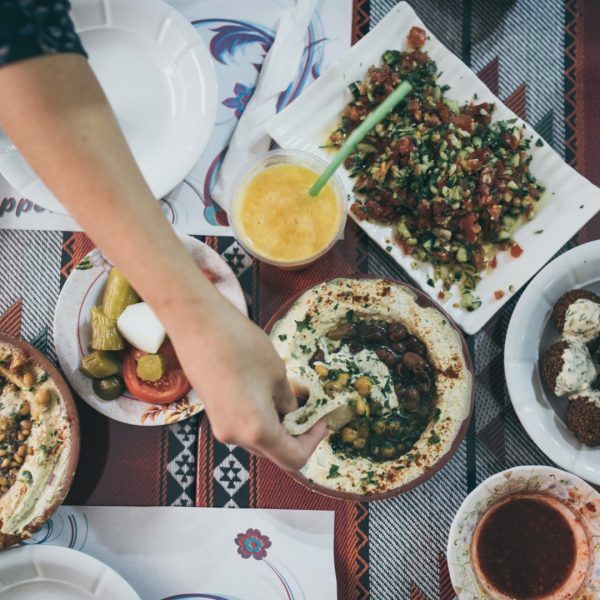 During the month of Ramadan, Muslims fast during the day, say several prayers and then break their fast with a special evening meal. The dates for Ramadan are based on the Islamic lunar calendar and depend on the traditional sighting of the crescent moon by eye. 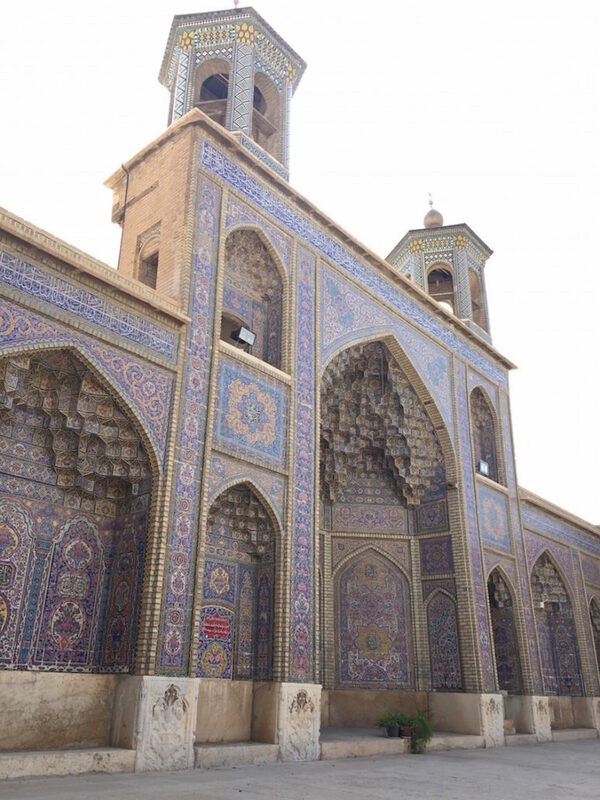 I traveled around Iran during Ramadam and it was quite an experience. Unfortunately I didn’t eat as many traditional dishes as I wanted, because during the day everything is closed and you are not allowed to eat or drink anything in public during the day. 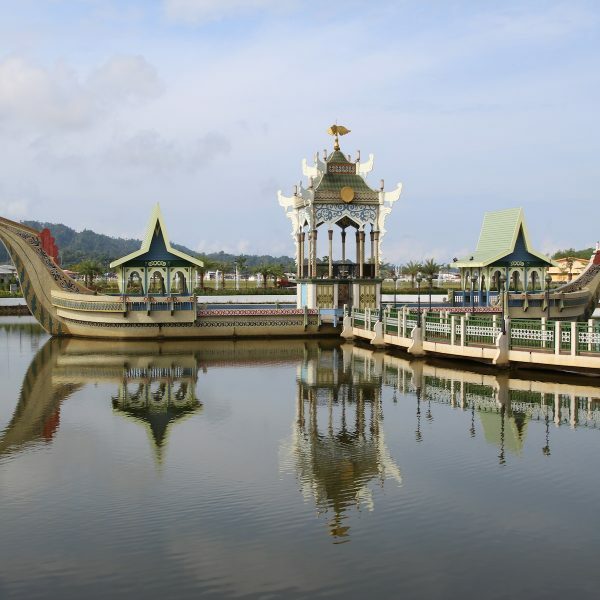 This can be tough because the temperature is extremely hot, but it is a good way to explore and understand even better the culture of the place you are visiting. Traveling around Iran is safe and easy. You can always take a bus or taxi without a problem. Buses provide a seat reservation and the driver will rearrange the passengers so that no woman sits next to an unknown man. So get ready to change your seat several times in a journey. Accommodation in Iran is easy to find. I always booked a hotel or hostel before arriving to each destination. But nowadays Coach Surfing is becoming very popular and it is the best way to find accommodation with local hosts and discover nearby events. 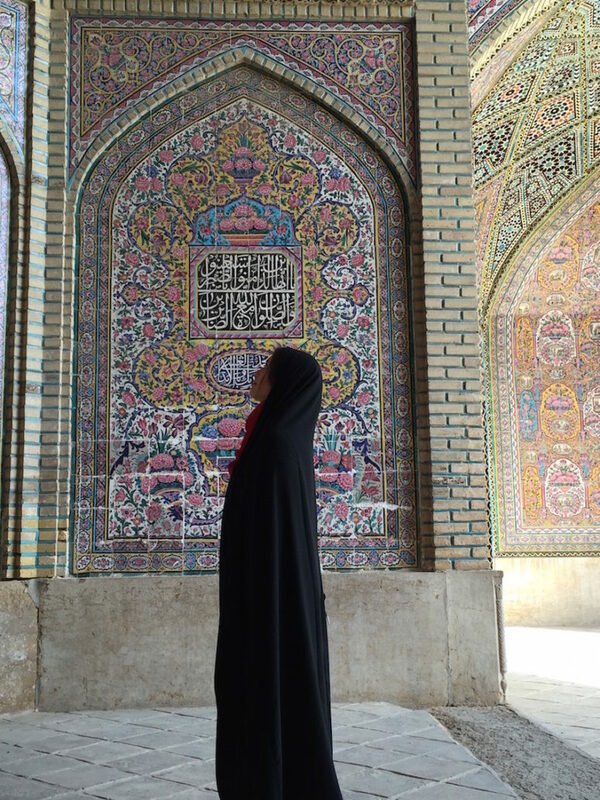 How to dress is the most controversial part of solo female travel in Iran. You need to have you hair and body covered every time you are outside in the public even in the common areas of the hotel. You have to cover your hair, arms and legs, but your feet can be bare. There were days when it was challenging to wear all these clothes when it was really hot outside, but still a great experience. Try not to use tight clothes. You can wear any color it doesn’t need to always be black. Shiraz, the cultural capital of Iran and is known as the city of flowers. The city’s beautiful gardens are renowned worldwide and visitors always leave this city with beautiful memories. 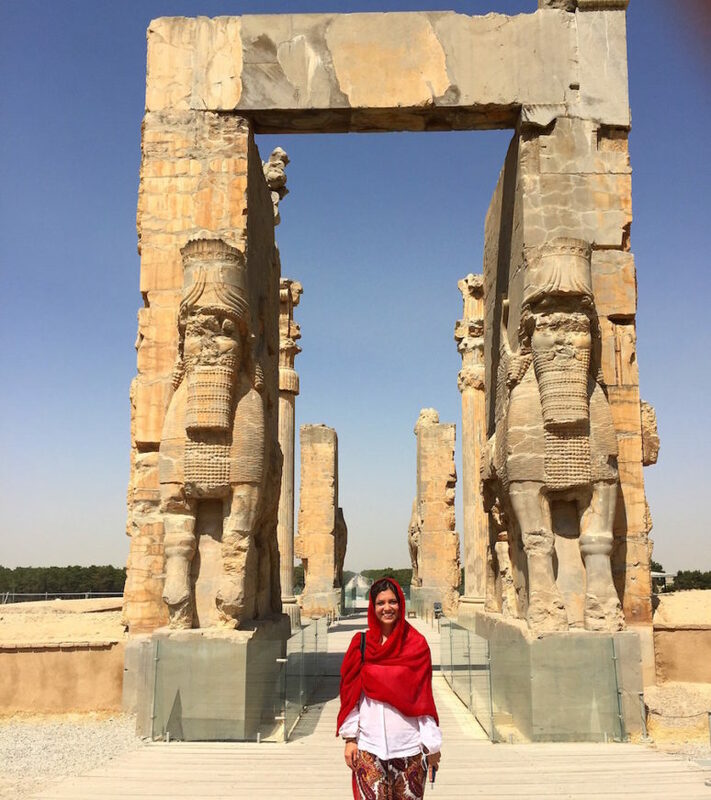 When in Shiraz, Perspolis is a must see site. 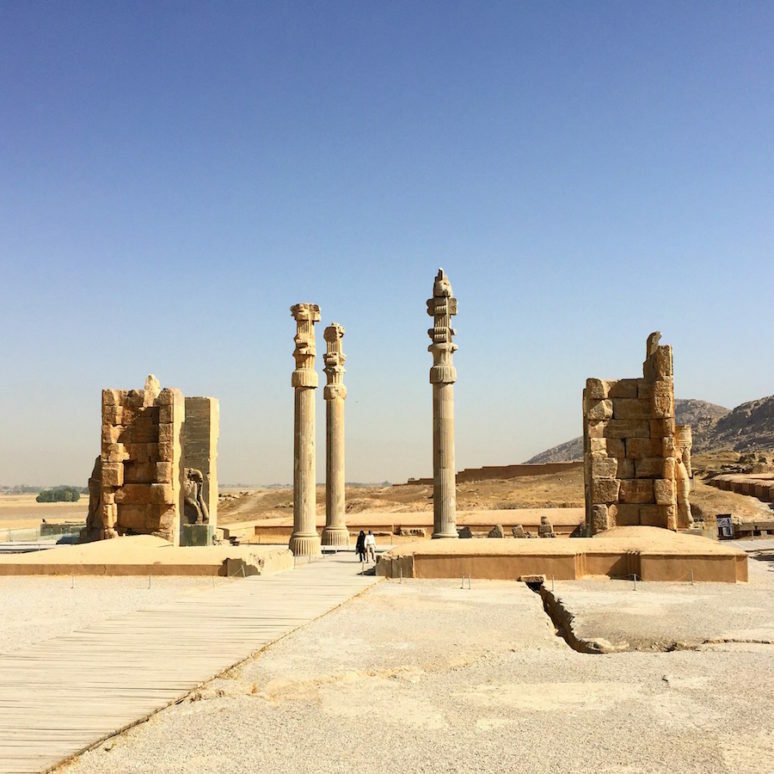 Persepolis was once the richest city on Earth and was founded more than two and a half thousand years ago. The importance and quality of the monumental ruins make it a uniques archeological site, which is also classified as a Unesco World Heritage Site. The best way to get there is to share a taxi or book a tour with your hotel. 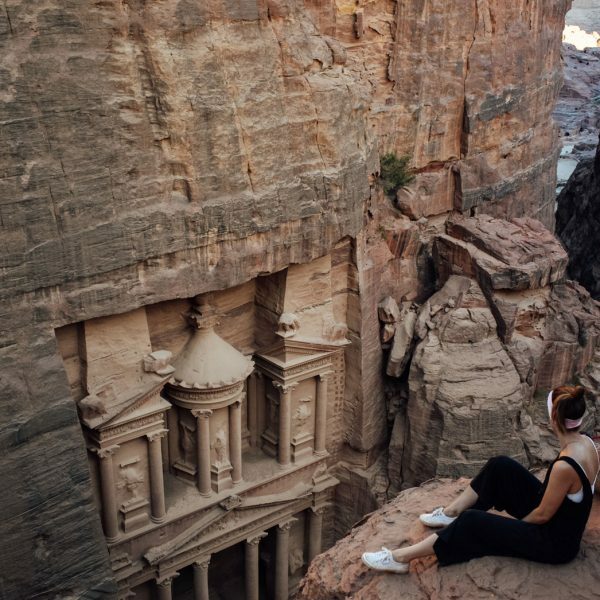 Not only tourists, but also locals plan to visit the famous ruins so it won’t be difficult to find company when going there. 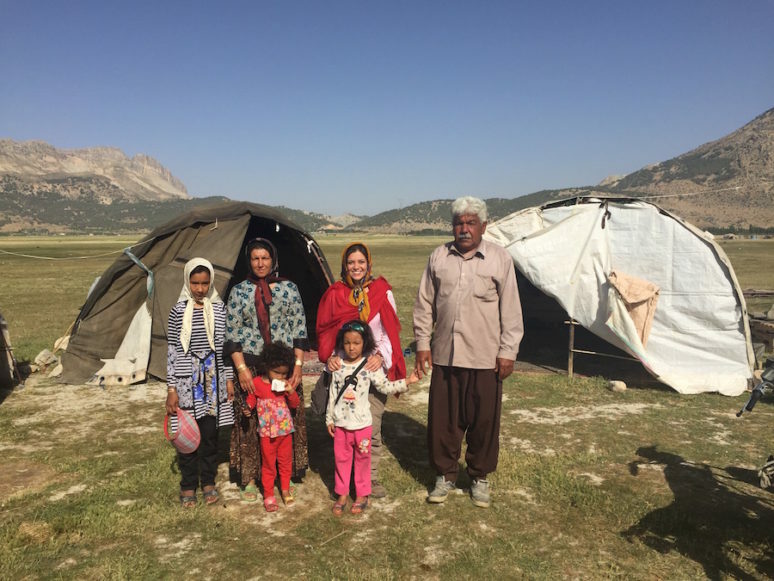 I had the opportunity to spent two days with a Qashqai family. The Qashqai are a nomadic tribe in Iran of Turkic ethnic origins. They mainly live around the city of Shiraz. For centuries, they have been renowned across Iran for their pile carpets and have always claimed a very specific identity. The hotel where I stayed in Shiraz, Niayesh Boutique Hotel, helped me to contact the Qashqai family. It was an incredible experience to live with them. I played with the children, helped to cook dinner and slept overnight in a tent. Esfahan is one of the most beautiful and historical cities in the world. The city has many marvels of Persian architecture and it is so beautiful that it has been nicknamed “Nimeh Jahan”, which means “half of the world”, saying that if you see Esfahan, you have already seen half of the beauties of the world. The stunning mosques and palaces of Esfahan are among the most beautiful and interesting in the world. You can also walk along the several ancient bridges. However, as a result of a drought, there is usually no water in the river. The Vank Cathedral is a popular destination. The interior is covered with fine paintings and gilded carvings. Between Esfahan and Kashan, there is a town called Abyaneh. To get there I took a taxi from Esfahan. 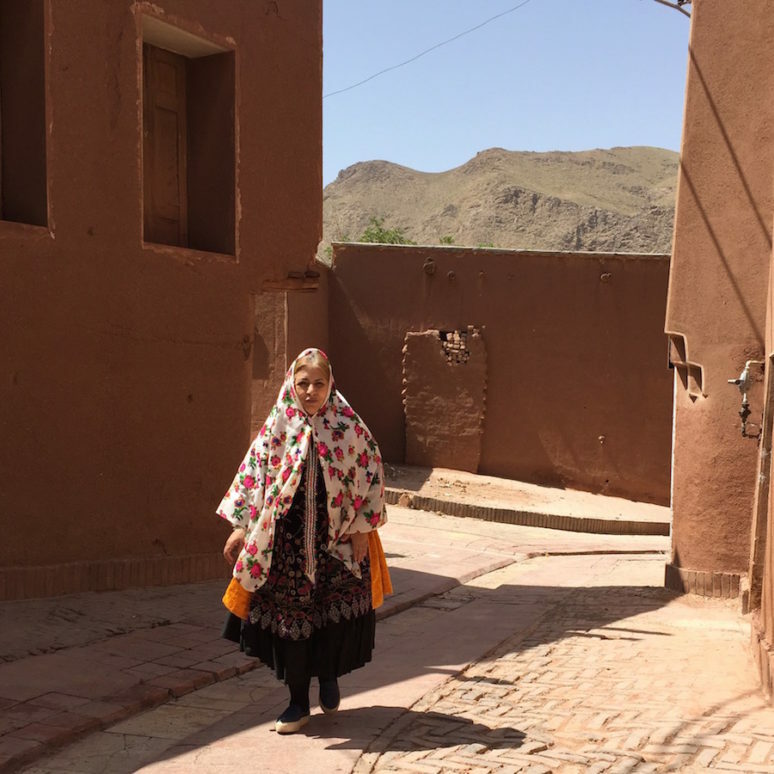 Characterized by a peculiar reddish hue, the village is one of the oldest in Iran. 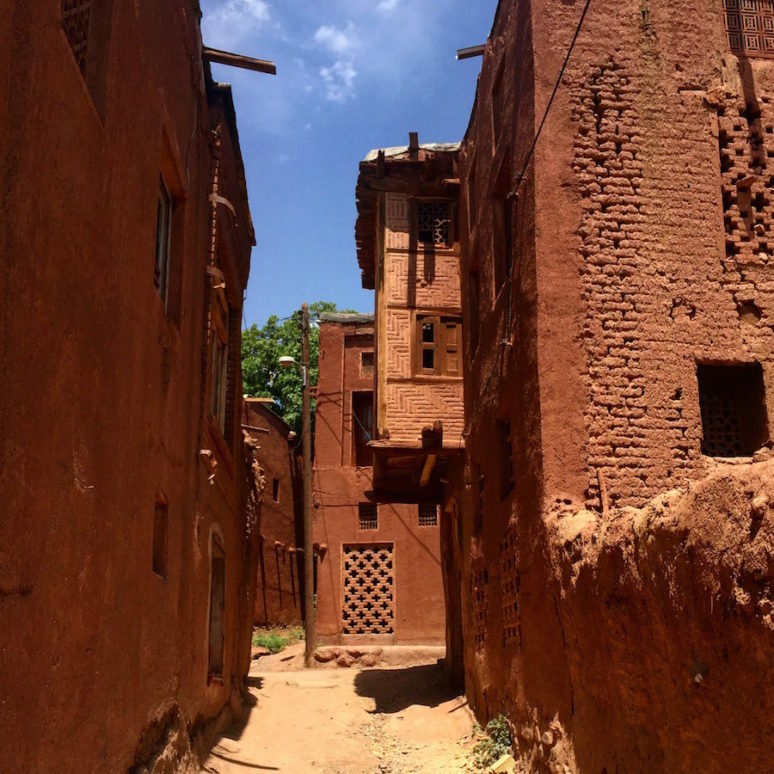 The houses in Abyaneh are built of mud and straw are stepped into the hillside. Its culture, traditions, costumes and dialect are unlike anywhere else in Iran. Women wear colorful headscarves. As everywhere else in Iran, the people are wonderfully friendly and welcoming. My driver´s name is Dariush he was so kind by taking me there and showing me around. When in Esfahan or Kashan, contact him as I am sure he would love to take you around. 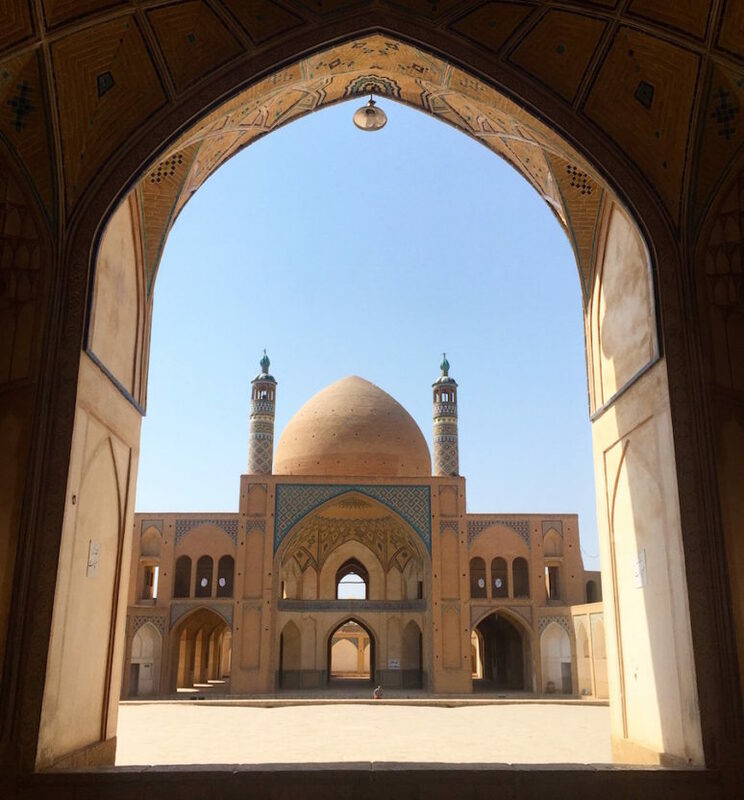 Finding the sites in Kashan is easy due to many dual language signs across the city. Kashan is famous because of its historical houses. These houses are some 18th and 19th century buildings recently restored. 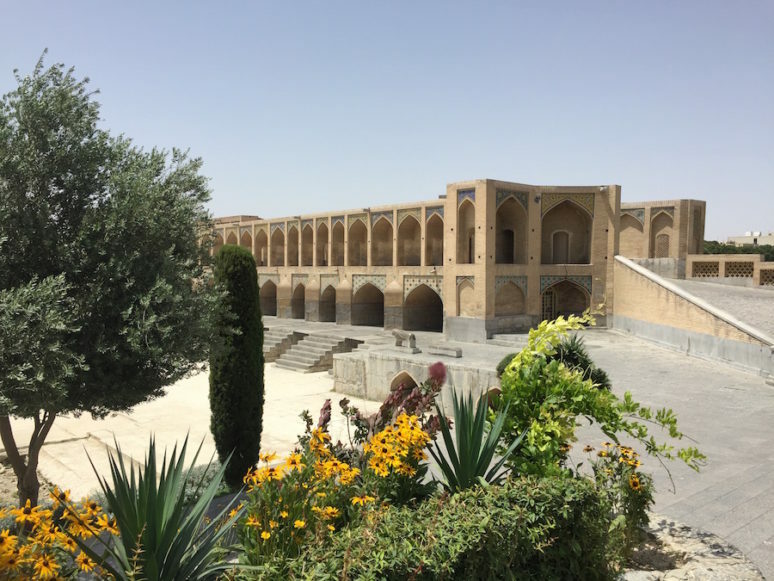 There are even some that have been carefully converted to hotels where you can stay during your time in Kashan. A great place to stay is Kamalalmolk Traditional Guest House. It is located in the heart of the city and the owner was so hospitable. Don’t forget to drink some rose water while you are there. I finished my trip in Tehran. It is a big and chaotic city but it deserves at least a few days of your itinerary. Getting around Tehran is not as easy as other cities. That is why I recommend you to stay in a well located hotel where you can walk everywhere or take the metro. I stayed in Hotel Makazi one of the most popular hotels among tourists. They will help you with any information you need. Some of the places you can’t miss in Tehran are the Azadi Tower, the National Museum of Iran, the Golestan Palace and of course the Grand Bazaar. You can find almost anything in Bazar and it is the perfect place to buy some souvenirs. We hope that this article has inspired you to visit Iran. If you have any questions about the destination or have your own travel tips to share please leave these in the comments below. inspirational! Thank you for sharing your experience! Thank you so much for reading and commenting, glad that this post has helped and inspired you to visit Iran. Hello! Thank you very much. Feel free to contact me in case of any doubts. Hi there , I’d like to say I lived in iran for nearly 1 year I loved it there beautiful simple life country and I might add I felt so safe and secure there than I do now. I love your post! Iran has been on my list for a while now because I’ve taken Iranian history classes at university and it excites me to see solo women going there! Iran has such a rich history and culture and I can’t wait to go. Thanks for the inspiration! Thank you. I really hope you can travel to Iran soon, Im sure you will love it! I am glad to see that stereotype images on different countries are broken by stories like this. 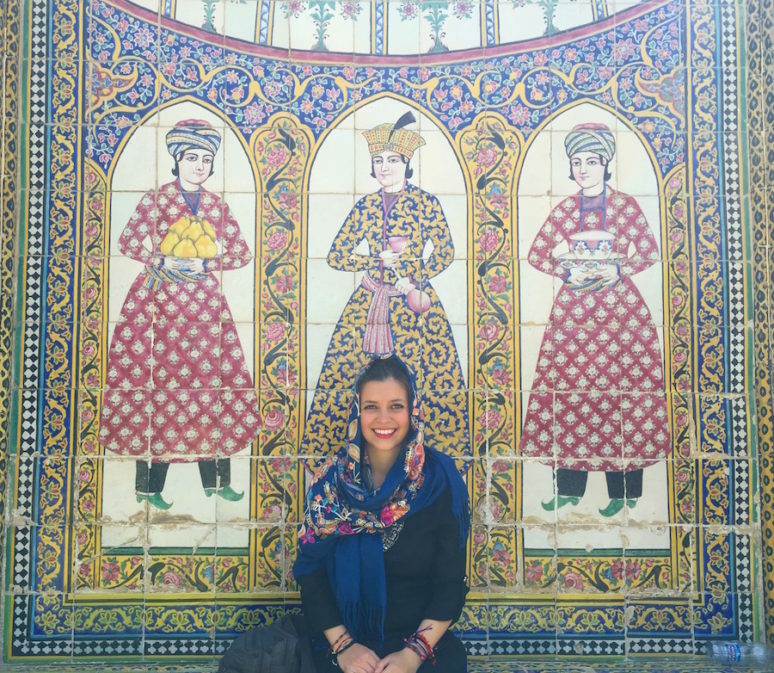 Thanks to Alessia for letting us know the rich history of Iran. 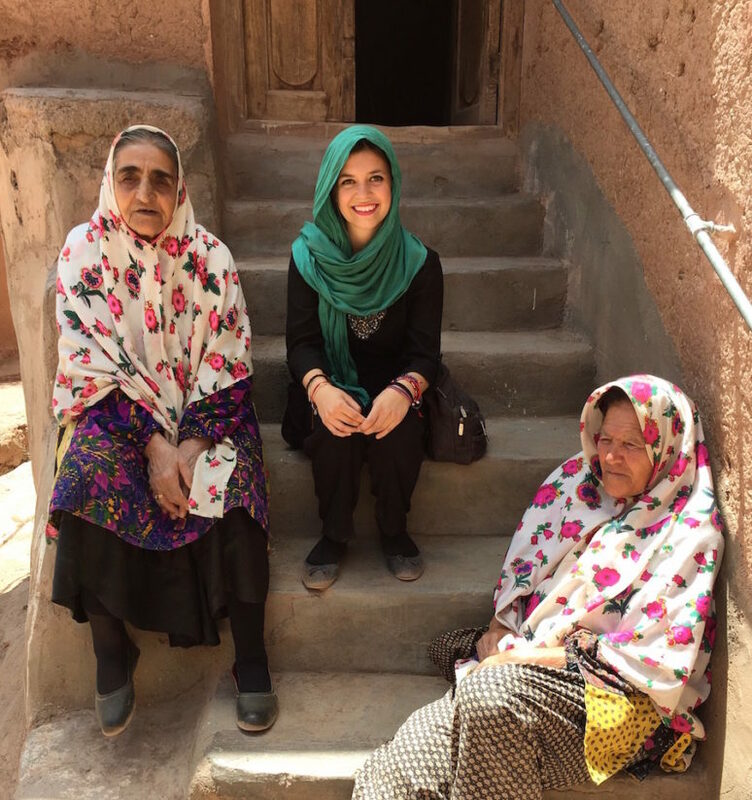 More travel stories like this will help us to discover that the rich diversity of cultures can unite as humans. Thanks for the post. It is very inspiring. I am going to travel to Iran in only three weeks and will stay for 17 days. I dont know what to expact yet but I am really excited. Looking forward to the different culture and the religion. Thank you for sharing this post. I have tried solo trips in Indo China countries. Been wanting to visit Iran since not many people are keen to go with me, I really wanna do a solo trip. This gives me some confidence in planning for a solo trip perhaps mid of October 2017. In case your plan in Iran is around 28Sept -5 Oct, Let’s meet up, lol. Iran IS Safe . as a travel activist i have seen many solo travelers especially the girls here . just some rules need to be considered. .i would be more than happy to help anyone. As an iranian girl i can say iran is safe. There is wonderful places to see. Each part of Iran has unique culture then you will be familar with different culture. I travelled to Iran last year with my other half (he is Iranian) and loved every minute of it. The people are so, so friendly and welcoming. I’m glad you enjoyed yourself too. Next time you should visit Tabriz, it is a beautiful city. Have you been to Iran during Nowruz? I recently wrote a blog post on this amazing celebration: http://www.natasha-brooks.co.uk/blog which should hopefully make you want to go and experience it yourself! Are you ok for me to link back to your blog in any future posts I write about my travels to Iran? I look forward to more of your adventures! I started to travel alone when I was 22 and never stop and living abroad for the 3rd time, this time in south america. And Iran is in my list since ever! Inspiring confidence for solo female travellers. 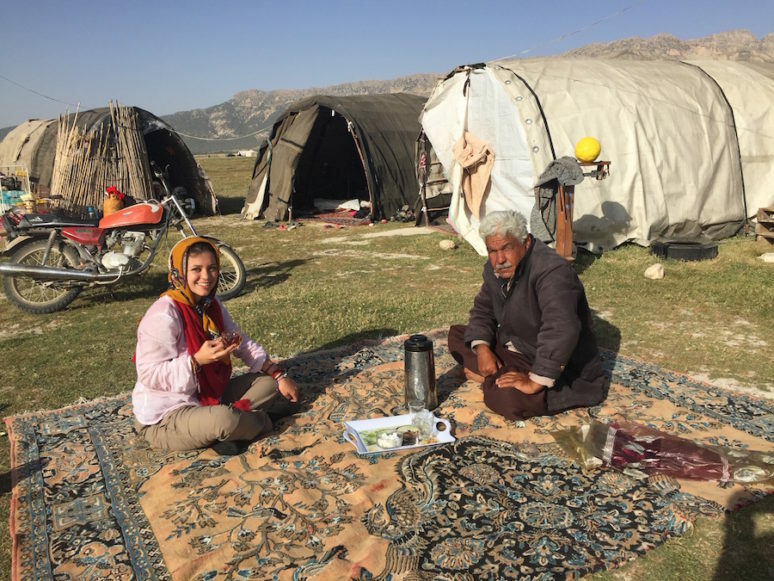 Beautiful journey especially the opportunity living with a nomadic family. I am now traveling solo in Japan and Iran is certainly in my next trip list. I can feel your honesty and sincerity from those lovely moments in Iran. Keep it up! Thank you so much for your blog, it is amazing that you travel there by yourself 🙂 I have one question though and maybe you could help me.. I will go there in a few months, but read that you have to show/prove you overnight arrangements on arrival. Was that true in your case? Because you write that you booked just a few days before, I was wondering how your experience was at the customs. Thank you for sharing your experience! I am considering travelling to Iran solo, and I was curious about the dress code. Was there any point during your trip when you felt unsafe? The place I want to go is a 6-hour bus ride from the airport, so I am a little nervous navigating this one my own. Iran is good place for traveling. Most of tourist choose a Iran for traveling. It’s beautiful place. You share solo female travel information is very helpful for solo female traveler. Thanks for sharing this so interesting post! I really want to be thankful for the way you have put it here. Hi, thanks for writing this! I’ve been dreaming of going to Iran (whilst explaining to friends & family that is is not Iraq) and this is really helpful. My co-worker (with her family) went to Teheran few months ago and was astounded by the land and culture and safety and since she came back, I’ve been looking for flights. However, I’ve heard that I might not be granted visa/entry if I’m unmarried AND travelling alone. Is this really true?? Good job and Thank you very much for sharing your experiences. Thank you very much for your post. I have been dreaming of going to Iran for many years and have always feared that it wouldn’t be safe for my daughter and I based on the stories I had read before and Persian people I had met in Canada. I know now that it is possible!! !